This is a revolution in orthodontics. Invisalign aligners are virtually invisible. No one may even notice that you’re wearing them, making Invisalign a seamless fit with your lifestyle. Invisalign aligners are removable. Invisalign offers the best of both worlds: comfortable, efficient straightening with an essentially invisible appearance. 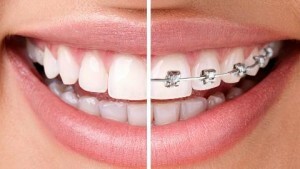 We have lowest priced braces in Brooklyn!